An astonishing achievement by England to claim a Six Nations title and a first Grand Slam in 13-years after the shambles of the World Cup. And great credit to coach Eddie Jones who has taken much the same squad of humiliated players and turned them back into winners. He has brought focus, direction, organisation and leadership. Jones is clearly viewed with respect and awe by those under his charge. Cross him and you won’t be around for long. The result has been a new, fresh, cohesive England. A far tougher outfit to beat. 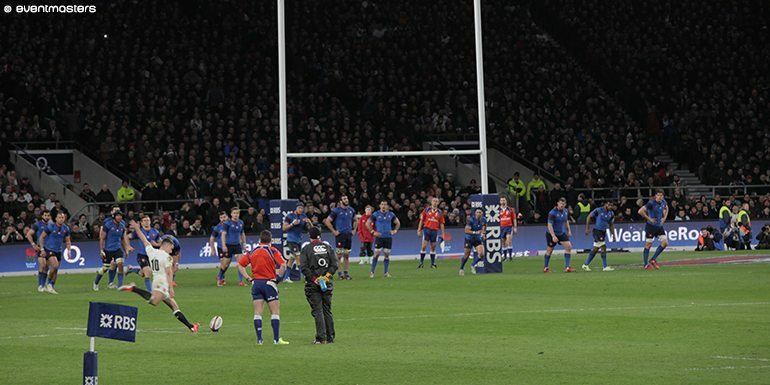 France played well, getting within two points at one stage but it would have been a travesty if England had not claimed victory – a try count of 3-0 thanks to Danny Care, Dan Cole and Anthony Watson. The final score was France 21 England 31 and that was about the right differential. England had problems with their discipline, giving away far too many penalties. It is something they need to work on. Why hold onto the ball on the ground? Let the opposition have it and then work to win it back. But the men in white had more threat and Jones has got them clinical at taking chances. Conversely the French had big opportunities to score twice in the first ten minutes but couldn’t capitalise. England turned over a lot of French ball in the loose. Yet it was at the line out where they were outstanding. Their own throw in was sound all game and significantly Maro Itoje and George Kruis won or disrupted loads of French ball. It was a nervy game for England supporters because their side never truly put clear water between them and the French. But England themselves appeared nerveless. There were some standout performances. A scintillating break by Care for England’s first try but Ben Youngs came on in the second period and looked the part too. The good thing about this England side is that they really do seem a team who work for each other. Itoje is an amazing find, earmarked for greatness for some time, he has taken his chance with both hands. Kruis had a superb game and Jones has proven to be correct in avoiding wholesale changes having kept faith with many of England’s World Cup ‘failures’. 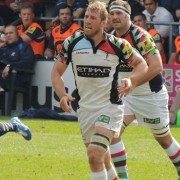 Cole, Robshaw and Haskell have shown there is plenty still in the tank. Billy Vunipola has been immense, the man who has made the hard yards and taken it to the opposition. He has constantly broken tackles, made ground and shown the way. Ford and Farrell have answered the critics, myself included. They have been solid if not spectacular. Brown, Watson and Nowell have been excellent albeit Joseph has found it harder to make the scintillating breaks of which he is capable. England now go Down Under to take on the Australians, looking for revenge from that World Cup thrashing. That will be a big test. A Grand Slam is always a wonderful achievement of which the players can be proud. Some will say it was a Six Nations which lacked true class given everyone was re-building and to some extent experimenting. 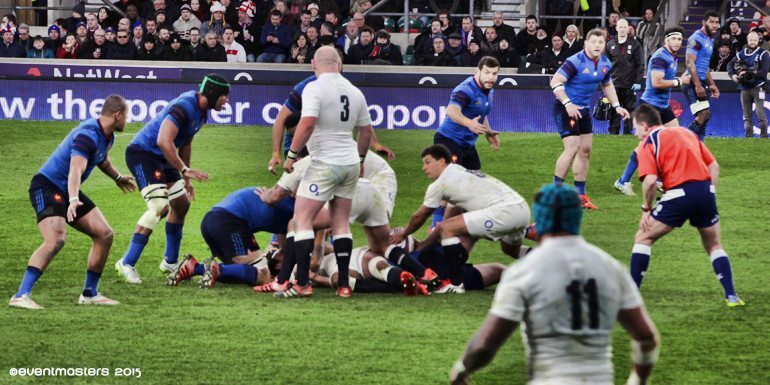 Some will say there is nothing in this England side to frighten the Southern Hemisphere. Some will say that we will have to wait until the 2019 World Cup to find out whether England can cut it. But you can only beat what is put in front of you. The opposition may not have been vintage but they were very competitive. England have every right to enjoy the glory. They have deserved it. 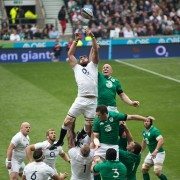 For more information on our Twickenham hospitality packages for England Six Nations fixtures and Autumn Internationals, please follow the links.